Although the importance of adequate iodine levels within the body is frequently ignored, without a sufficient iodine level, the thyroid has difficulty producing the hormones that regulate cellular function and metabolism. So, how does the thyroid of an individual who is allergic to iodine function? The reality is, there is no such thing as an iodine allergy. Iodine is essential for producing thyroid hormones; therefore, iodine is present throughout the body, which is why it is impossible to have an allergy to elemental iodine. The term iodine allergy is commonly used when referring to a reaction to iodinated radiological contrast media or an allergic reaction to povidone-iodine antiseptics, such as Betadine™. When a patient receives an order to have a diagnostic test that involves the administration of contrast material, the radiology technician/radiologist inquires as to whether the patient has an iodine or seafood allergy. This question is asked because there is a belief among some individuals within the medical community that there is a specific cross-activity between iodine-rich substances and iodinated radiographic contrast material, which is an unfounded belief. As mentioned previously, the term iodine allergy is frequently used as the collective term for adverse reactions related to these agents. As the consumption of seafood increases and the prevalence of allergies to these foods rise, when asked, more patients will state that they are allergic to seafood. This acknowledgment negates the ability of the radiology technician/radiologist to administer the contrast material; thus, preventing the patient from completing the test as his or her physician ordered. The thyroid creates triiodothyronine (T3) and thyroxine (T4). Both of these hormones cannot be created without iodine. Without an adequate supply of iodine, the thyroid cannot produce enough of these hormones. Underproduction can lead to metabolic disorders, including hypothyroidism. Breast cancer has numerous causes; however, studies indicate that there is a correlation between thyroid disorders and breast cancer. For proper function, the breast and thyroid both require iodine; nonetheless, an iodine supplement should not to be considered a standalone cancer preventative. Studies indicate that women who live in countries where the consumption of foods rich in iodine is common are less likely to suffer with thyroid conditions and breast cancer. 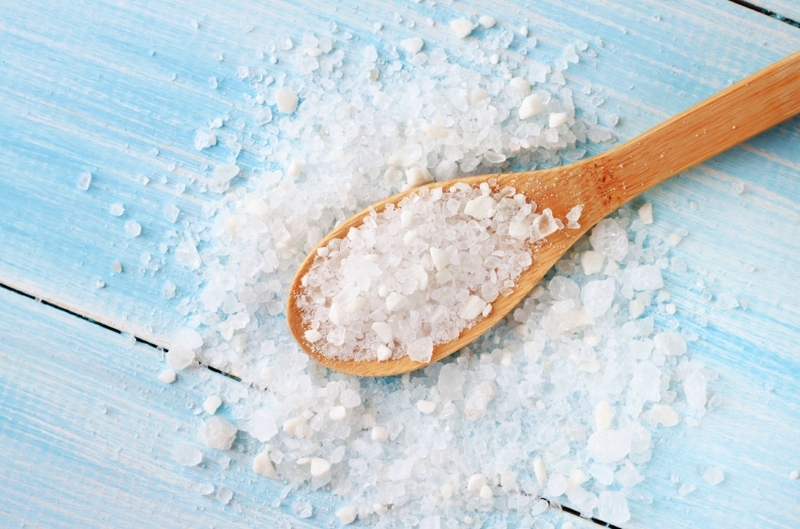 Although the majority of table salt is iodized, salt alone is not considered an adequate source of iodine. Potassium iodide is added to some salts to ensure the iodine is not lost through oxidation. Sodium thiosulfate or dextrose is also frequently added to iodized table salt as a means to stabilize the potassium iodide. To increase the level of iodine in the body, an individual can consume seafood. The majority of seafood that is readily available for consumption provides individuals with a better than average serving of dietary iodine. Adequate iodine intake during pregnancy is especially important: Health authorities state that iodine deficiency in a pregnant woman can stunt fetal growth, leading to mental retardation or cretinism, which causes severely stunted mental and physical growth. Cretinism is caused by untreated congenital hypothyroidism, which usually occurs due to maternal hypothyroidism. Ajay SQM’s sells iodine derivatives to Research and Development Chemists, as well as to laboratories. To learn more, contact us at 770.943.6202 today.